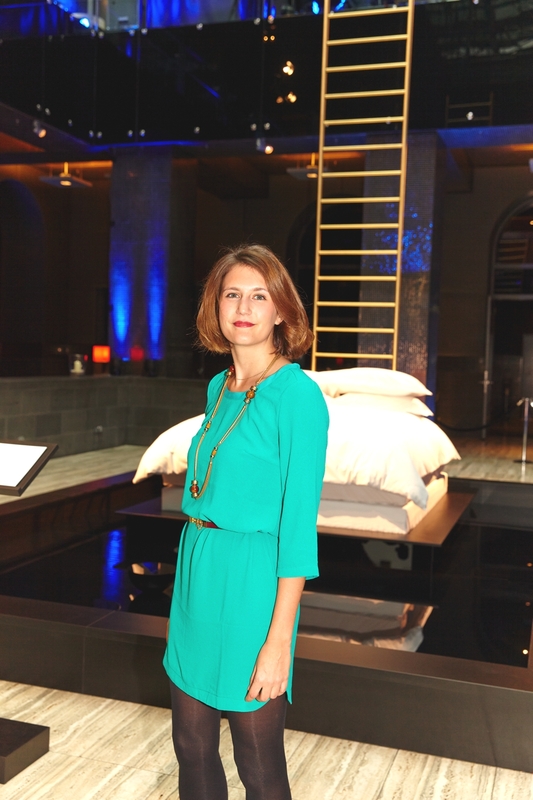 Clémentine Pautrot, a 24-year-old, Paris-based interior designer was chosen as the winner of Wallpaper* magazine and Softel Luxury Hotel’s MyBed Universe competition on 4 April. Having studied interior design at École Supérieure des Arts et Techniques in Paris, the designer has been working for a boutique agency specialising in merchandising for luxury brands. 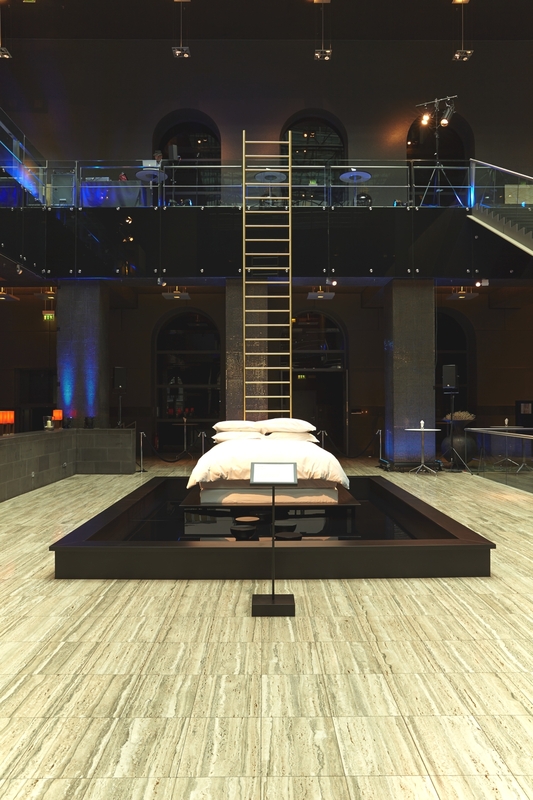 The winning design from Pautrot was displayed via an installation in the middle of Sofitel Munich Bayerpost’s contemporary foyer. 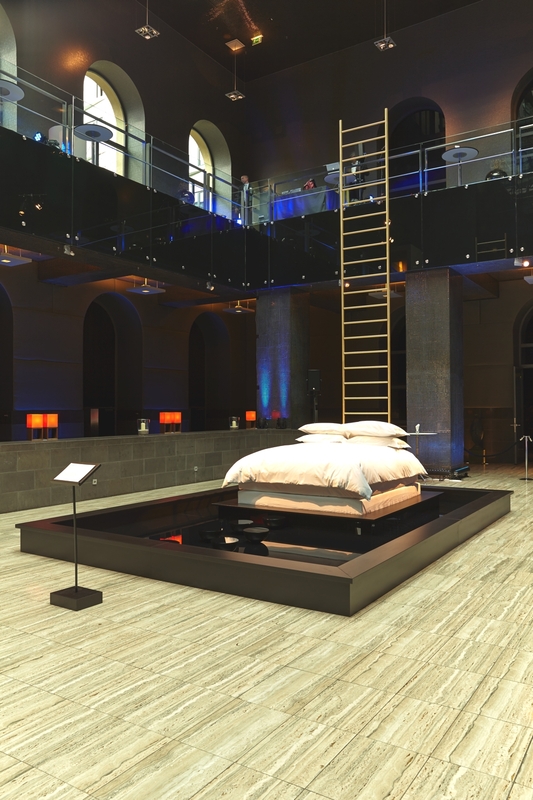 Chosen from a group of 10 finalists, Pautrot’s design concept worked with the notion of sleep as a magical experience, the installation captures that sublime and mysterious phase between falling asleep and dreaming. The ladder symbolises the upward journey into the delirious dream state. 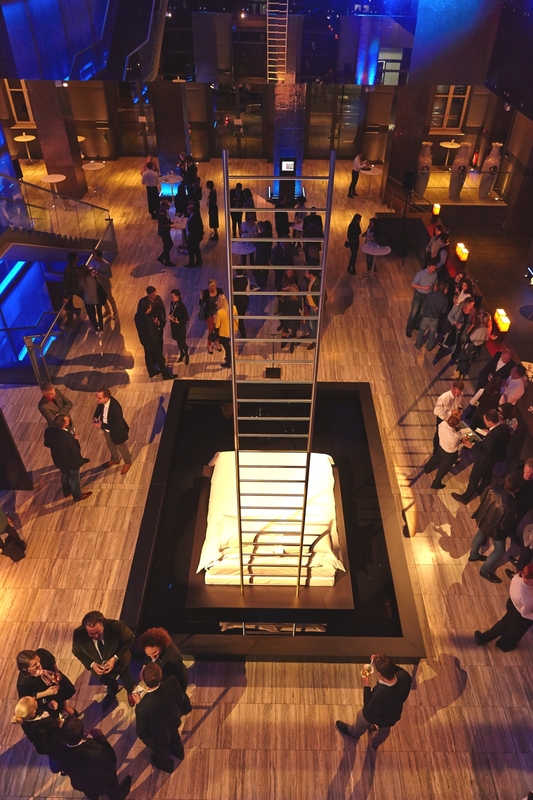 Adelto was invited to the exclusive event that was the culmination of the international design competition centered on Sofitel MyBed™ products at the core of the creation – bed base, mattress, pillows, topper and duvet. 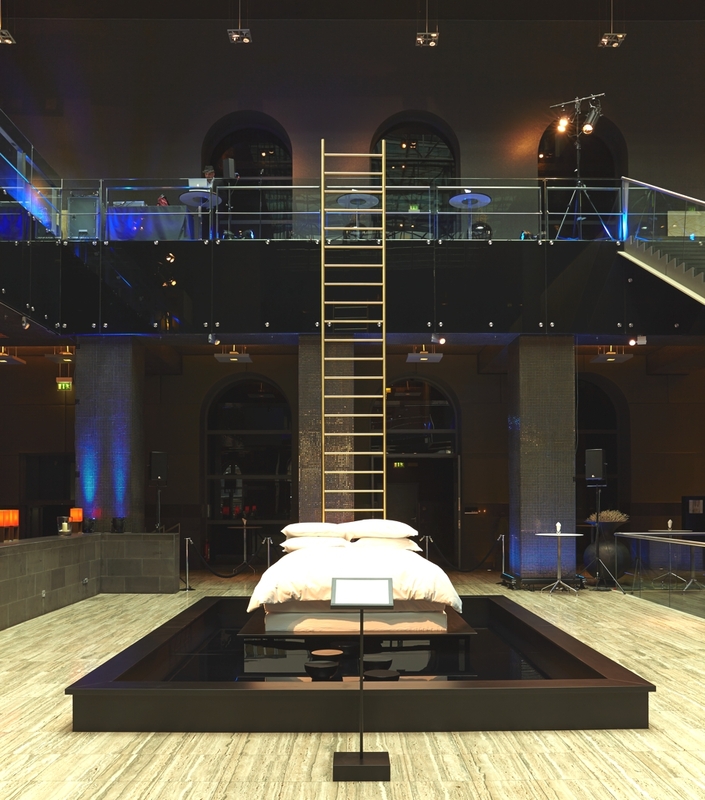 Opened to creatives and enthusiasts from across the globe, designers created their own inspiring interpretations of a Sofitel MyBed™ ‘Universe’ – the quest for the ultimate sleeping space. The winning design was picked by leading figures in architecture and design including Nicolas Adnet, interior designer, of Studio MHNA and Hervé Van der Straeten, an artist, designer and interior architect. 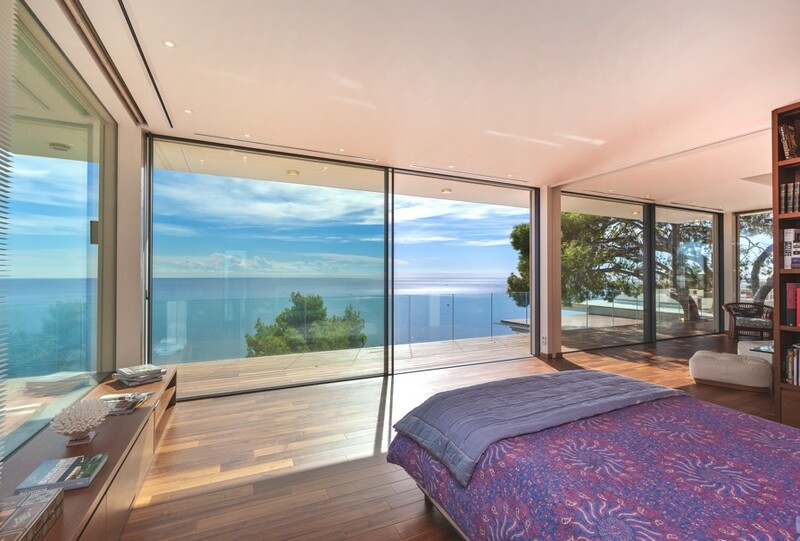 John Taylor’s Californian villa is an ultra-luxe six-bedroom hillside villa in the prestigious Roquebrune Cap Martin, France. 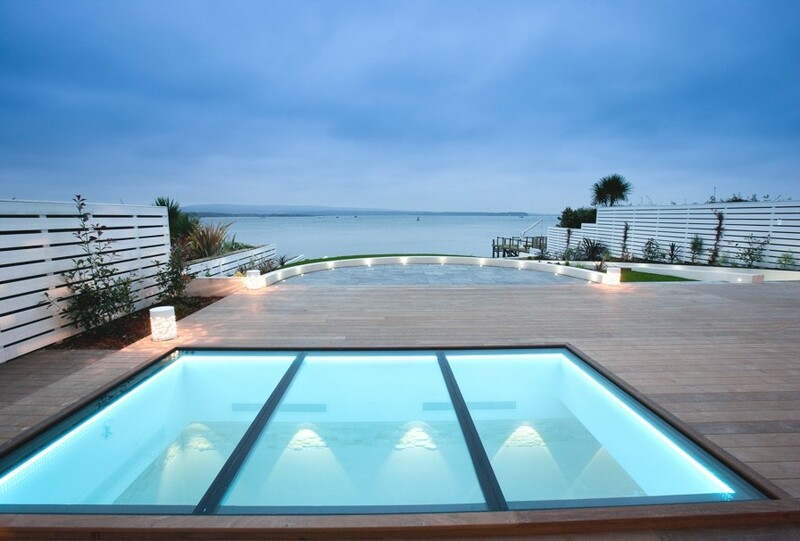 This architecturally designed contemporary home, with impeccable interior design throughout, occupies an imposing but private plot on the prestigious Sandbanks Peninsula with a breathtaking outlook across the entrance to Poole Harbour.